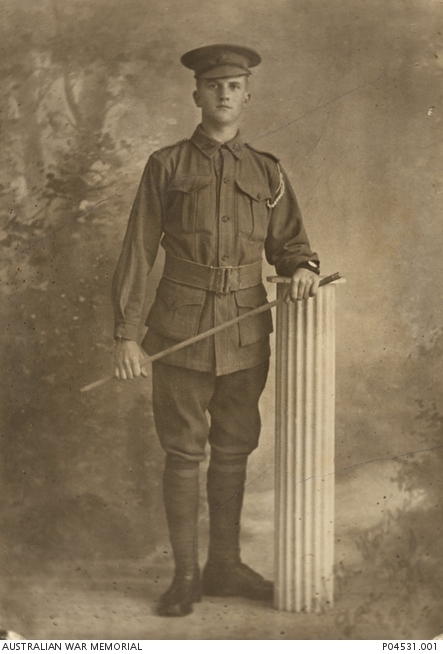 Studio portrait of 1048 Private (Pte) Sydney Leonard Petterson, 12th Battalion, of Balmain, NSW. Pte Petterson enlisted on 14 November 1914, sailing for service overseas on HMAT A38 Ulysses in December that year. He took part in the landing at Gallipoli and was killed in action on 29 May 1915.